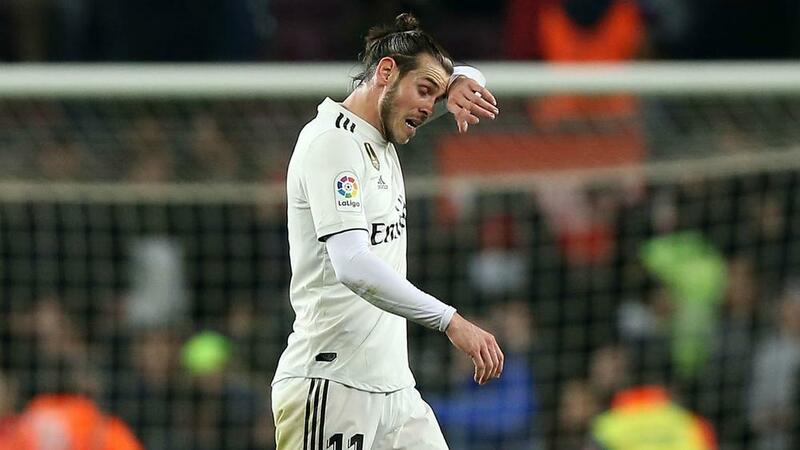 Zinedine Zidane showed little sympathy for Gareth Bale after he was jeered by Real Madrid fans in an underwhelming 2-1 win over Eibar. Madrid, which lost to Valencia in midweek, was unimpressive once again and fell behind to Marc Cardona's goal six minutes before half-time at Santiago Bernabeu. Los Blancos rallied after the break and ultimately won thanks to a Karim Benzema brace, but questions will again be asked of the performance. The Wales international was jeered during the match and Zidane hardly made an impassioned defence of his player afterwards. When asked again if Bale will be at the club next season, Zidane said: "We'll see. "I will not say what will happen. He's at Madrid and he has two years left on his contract. It is not the time to talk about that. With Madrid realistically out of title contention in LaLiga and eliminated from the Copa del Rey and UEFA Champions League, Zidane accepts it is difficult for his side to be motivated, but insists it will not stop fighting for results. "In this situation, we will go out little by little, insisting on working and thinking positively," he said. "This season we will not win anything, we already know in our heads. Playing for nothing is complicated. "I'm not saying that we're going to quit and stop fighting. No, that's why the second half was very good, we took initiative. But thinking about the seven matches we have left, we will have to fight as a team."